2010 has been a year where pop culture has exploded and encompassed the masses. From music to films to reality television, popular culture has provided a smorgasbord of inspiration for Halloween costumes. Not only are we going to predict the top Halloween costumes of 2010, but we are going to tell you how to make these costumes yourself. It's hard to believe it, but dressing like someone from the cast of MTV's hit reality show Jersey Shore might just be the hottest Halloween costume of 2010. The most popular costumes from the cast would be Pauly D, Mike "The Situation," and Snooki, but dressing as any type of "Guido" would suffice for a Jersey Shore Halloween costume. There are 3 main ingredients to a Jersey Shore Halloween costume: orange tan, dark black hair, and designer clothes. Bring on the bling. You want to drench yourself in gold. At many Halloween stores, you can buy a Snooki or a Pauly D wig or The Situation's abs.If you want to make your costume hilarious, consider buying orange paint or dark foundation to really make it look like you fake baked at a tanning salon. Every day is Halloween for music sensation Lady Gaga.The queen of pop is all about reinventing herself and makes for a great Halloween costume inspiration. In order to dress like Lady Gaga at home, watch a music video or performance to get some inspiration and try to mimic one of her ensembles. To make a Lady Gaga costume, you will definitely need these three things: sequins, sunglasses, and cigarettes. You can even combine all of these. Lady Gaga enjoys painting her face in interesting ways, sometimes creating a mask-like illusion. If you are going to go Gaga, do it big. Never hold back. LOST might have wrapped up its final season earlier this year, and we might have not completely understood what exactly happened, but we do know that dressing up as someone from the Dharma Initiative is one of the coolest Halloween costumes of 2010. Dressing as a Dharma employee might be one of the most relevant costumes of the year simply because LOST was such a phenomenon. To dress like a Dharma employee, you could buy the jumpsuit online. But if you are looking to do it yourself, you can always buy a jumpsuit at a thrift store. Your jumpsuit can be tan or navy blue if you want it to look authentically Dharma. As for the logo, you can always paint it on, buy a Dharma sticker, or buy some iron-on papers and print out the logo to iron it on your jumpsuit. Make sure to look relatively disheveled because the Dharma employees hardly looked like they had showered within the last week. Match your jumpsuit with a pair of hiking boots. With the obsession with True Blood and Twilight this year, it is expected that the surge in vampire costumes would happen. No longer will vampire costumes be an older man who fears garlic. Vampires have had a Hollywood make-over, and so have the vampire Halloween costumes. If you are looking to dress up like one of the Cullens for Halloween this year, it might be one of the easiest and most recognizable Halloween costumes. Vampires now appear to be regular people, only a little bit more pale with vampire teeth. Buy some translucent powder and a set of vampire teeth from your local Halloween store to complete the look and use some red food coloring to drip some blood off the side of your mouth to make sure people know you're a vampire (if they hadn't guessed it already). Make sure to wear darker colors from your wardrobe. with all of the Harry Potter hype. Harry Potter is soon releasing the final two movies to end the Harry Potter saga, which means that Harry Potter costumes will be all the rage this year. You can dress like Harry, Hermione, or any one of the other Hogwarts gang, or you can dress like quite possibly one of the most popular Halloween costumes of the year, he-who-shall-not-be-named, Voldemort. 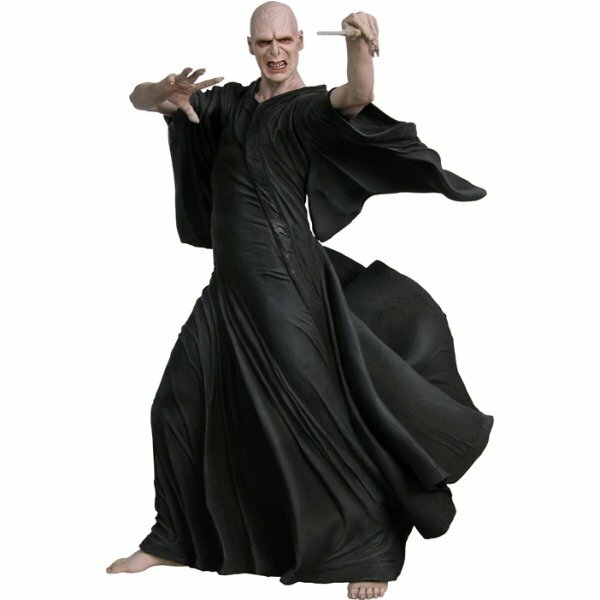 In order to dress like Voldemort for Halloween, you will need to start with a long black robe. Some good ideas for this robe would be an old graduation robe that you have laying around (or that your parents have laying around). You can also get the bald look by buying a bald cap at a Halloween store. While you're there you can look for a wand, or just whittle a stick from your back yard into a believable wand. Make sure to use some dark make up to make your eyes look shadowed and sunken in, like Voldemort's. This year, Halloween costumes are all about pop culture references. You can either buy expensive costumes at a Halloween store, or make your own for more effort but less money. How did Halloween start in America? What are some good group Halloween costumes? What year did Halloween start?